The book is published by Birlinn Press and is available in all good bookshops as well as on Amazon and many other online retailers. Comments and reviews are welcome! See the book jacket here: So Much Wind (FLR). We’ve put up a new home page, and the blog has moved to a new “News” page. Hope you will still find it easy to find everything you want to on the site. Let us know of any glitches or problems! New research, funded by the Government, shows that wind farms will create more carbon dioxide. Click here to read more about how peat bogs are the equivalent of our rain forest. A Youtube video by TheLochgelly which shows graphically some of the problems wind turbines cause – shadow flicker, bird strikes, health and safety issues. Stick with it – there is a long introduction. Thanks to Robert and Wendy Anderson for finding it. A couple more stories reported in the press recently. The first was in the Carrick Gazette and later The Herald ran a short story. 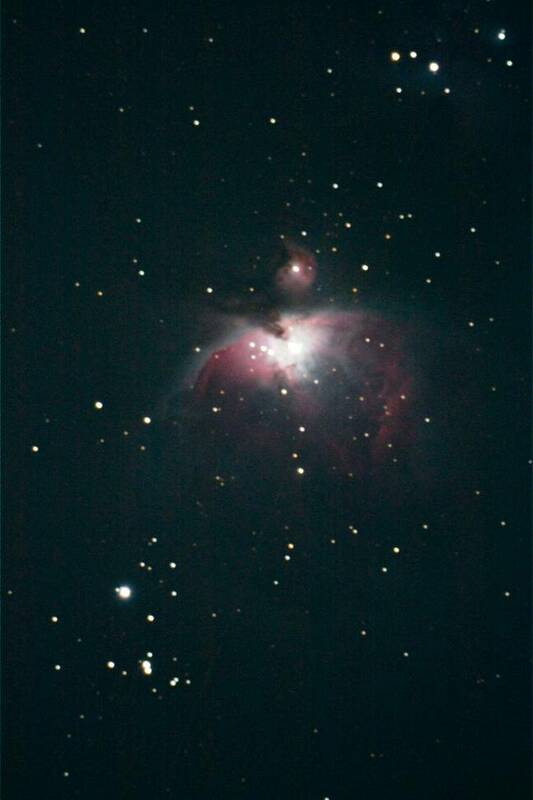 Tom and Carol filmed this yesterday. Listening to it makes you realise just how annoying the sound would be to experience day in day out. The high-pitched screeching half way through is apparently the turbine moving round to catch the wind. As Tom says “could do with some WD40”. Click here to read an article in today’s Telegraph about rental payment paid to wealthy landowners in Scotland by wind farm companies. Save Straiton for Scotland now has a bank account set up. So please get those donations rolling in. You can donate directly online to the bank account. All details are on the Donate page, which also reminds you why we need the funds! This was a comment made at the end of January when Linfairn was the only new development we were aware of. I feel deeply depressed at the sheer number and vast spread of these polluting industrial installations throughout the beautiful, natural countryside of SW Scotland. My husband and I often hack on horseback including through Auchalton, Glenalla, Linfairn and Balbeg or past Dyke on our way to Straiton so we’re familiar with the state of the area’s single-track roads, paths and natural attractions. We live around a mile from Hadyard Hill wind farm and, while we can’t see turbines from our property, we can hear them when the wind is southerly and the noise they make is deep, loud, stressful and unpleasant and can persist for days on end. Despite being a condition of planning permission Scottish & Southern Energy (SSE) has only fairly recently, and grudgingly, made access for walkers and horses possible to some areas of the Hadyard windfarm site thanks to the extremely helpful and proactive intervention of UPM Tilhill and their local area manager in Straiton. Much of the windfarm site remains inaccessible despite ‘right to roam’ legislation. Sadly, even with access to some of the site via turbine roads, the loss of amenity is significant as the turbine noise is unpleasant to ride or walk through. On several occasions I’ve found dead birds near or under the turbines, usually buzzards. Access to windfarm sites alone is little compensation for the huge loss of amenity in the form of unspoiled countryside and it must have a detrimental effect on local businesses that depend on tourism – which is probably the only significant economic activity in such a sparsely populated area, other than farming. Based on my experience of Hadyard Hill windfarm the proposed Linfairn windfarm promises to similarly further diminish public access to public space and diminish amenities for the people of Straiton. Furthermore, the proximity of turbines to homes and businesses, such as Balbeg and Dalmorton, is really alarming and surely – give their impact on health, sanity and property values – illegal. Consequently, absolutely oppose development of a windfarm at Linfairn. We have (hopefully) now set up this blog so that new posts are automatically shown on our facebook page. So if you prefer facebook, you can keep up with us there! The Community Council held its last Public Meeting to inform residents of the wind farm proposals, this time in Crosshill. No-one voted for the developments in this area. The Baldwin family, who live very close to Hadyard Hill wind farm by Barr, gave a first hand account of what it was like to live within 1km of turbines. The noise can be unbearable and it’s had a devastating effect on their lives. They mentioned it was not all the time, “but when the wind blows in a certain direction the noise permeates the whole house and seems to vibrate through you.” Shadow flicker was also a problem and is caused by turbines which are 1.2km away and not from a distance of 10 rotor diameters as claimed by developers. Please watch David’s film on the Impact, noise and health page. A film by David Baldwin, giving his experience of noise and flicker within 1Km of Hadyard Hill wind farm at Barr. 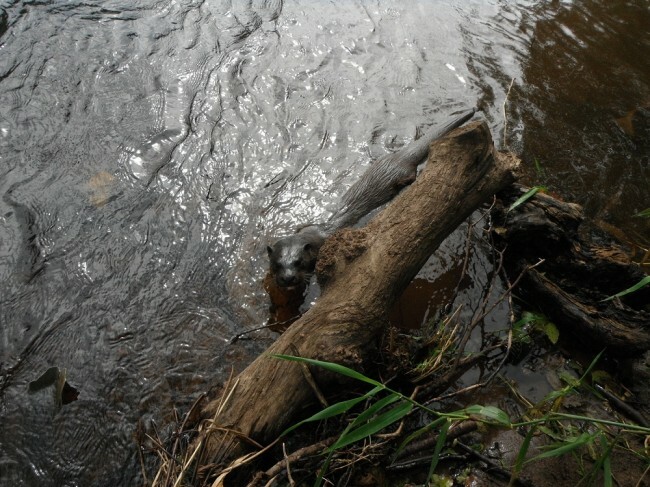 This Sept. 2012 picture of an otter on the upper Girvan comes from the Ayrshire Rivers Trust who are an important consultee on wildlife matters. Otters are a key species in helping to determine whether a windfarm will be permitted or not. 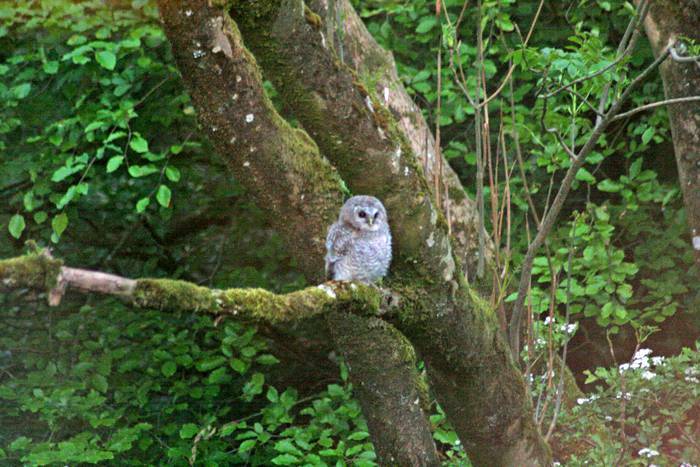 Other key species are bats, hen harriers, red squirrels, pine martens… and more. More information is now on the Wildlife page of this site. Please keep us updated with any information or sightings, most especially, of course, on any of the windfarm sites themselves! Get in touch via the Contact page or leave a comment. We all know, don’t we, that the reduction in house prices isn’t considered relevant by planners. But it is also true that it will affect us all in some degree, and those closest to turbines will suffer big losses. To give some information on this we have put up a new House Prices page in the Impact section of this website. Please check it out and leave your comments. Some good advice just in from fellow-campaigners at Craigengillan. Petitions to sign, people to lobby and why we should do it! Write to your local MP, local MSP, and Fergus Ewing MSP (Minister for Energy & Tourism, Scotland) and Greg Barker MP (Minister for Energy & Climate Change, UK). If MPs and the Departments get enough letters on the same subject, they have to pay attention to them. Ask for specific questions to be raised in Parliament. Write to the local and national papers every time you read an article you agree or don’t agree with. 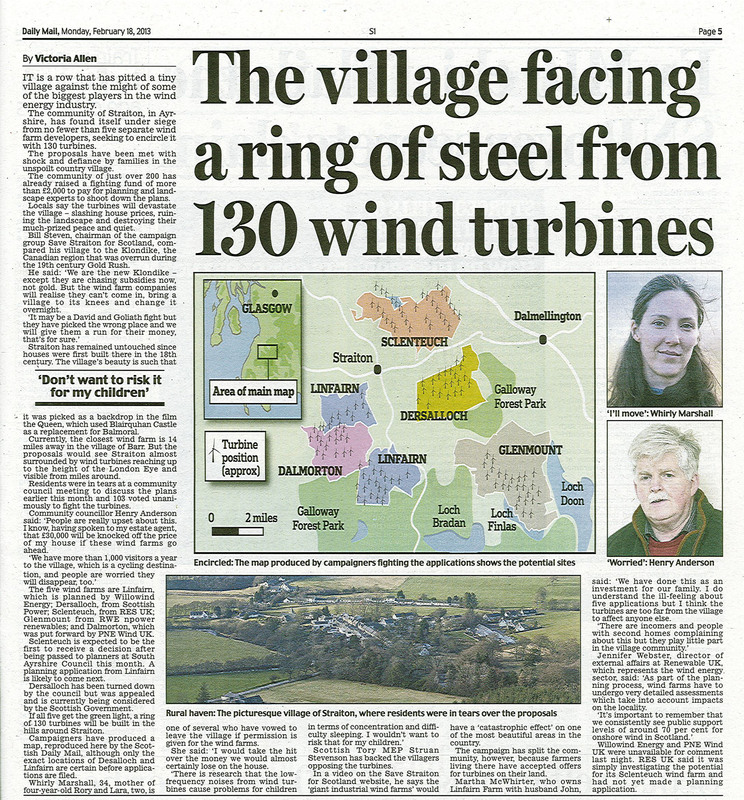 Keep the issue in the press – it’s wrong for communities who don’t want them to have wind farms imposed upon them by the Scottish Government and goldrush minded wind farm developers. This appeared in today’s Scottish Daily Mail on p5, the article describes the scale of the proposals and our determination to fight them. Interestingly in the Finance section there is mention of Iberdrola (which owns ScottishPower) taking a dividend of £900m from its UK section after it increased charges to British consumers. I hope to be making more comments on this later! Any other links and info: please keep them coming. We have made some changes to the site layout. There are new links to other windfarm sites nearby in South and East Ayrshire. If you have other information or are running a campaign group, please contact us. There is a new page on Windfarm Impact. It may not be relevant in terms of planning law, but we all want to know about noise, effects on our health, house prices, and all those other issues. Let us have more links and information on what is concerning you. Personal stories and opinions need their space too. If you want to sound off or make your personal lament, please do so and we will publish it on the new “Opinion” page. Adam Ingram MSP meets with members of the group set up to defend Straiton from wind farms. He said the Linfairn development was “totally inappropriate”. He listened to our concerns about the tremendous impact the turbines would have on the landscape, the issues about noise and health, the effect on visitors, the village and the school. He felt river valleys like the Girvan and Stinchar should be protected from unsuitable developments. The hills in this photograph would be covered in giant turbines if the Linfairn wind farm went ahead. From left to right: Andrew Sinclair (Treasurer), Whirly Marshall (Planning Lead), Bill Steven (Chair), Adam Ingram MSP and Peter Hadden. About 40 people turned out at last night’s meeting in Kirkmichael. Of course, quite a number of our friends in Kirkmichael already know about the threat to Straiton and surrounding area. Those that didn’t were shocked at the extent and number of proposals. Some of the turbines on the Linfairn Wind Farm would be seen in Kirkmichael and ones at Sclenteuch would be very visible. Bill Steven impressed upon everyone the urgency of the situation; these companies have had years of planning but we will only have 28 days after a planning application is made to oppose the scheme. The first of these is expected in a matter of weeks. We need to employ Planning, Landscape and Noise professionals which will require funds. Generous donations have been received but many more are needed, please help by sending a cheque to Save Straiton for Scotland and post to 18 Main Street, Straiton, South Ayrhsire KA19 7NF. Sorry if you have had difficulty finding our site via Google and other search engines. It has only just gone up, and only just been made available for the search engines to find. It will take a week or two for them to discover it and index it.